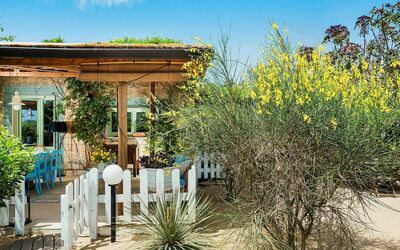 Moros is a small house situated in Santa Maria del Focallo, a little coastal hamlet near Ispica that boasts one of the most beautiful beaches in the south-east of Sicily. 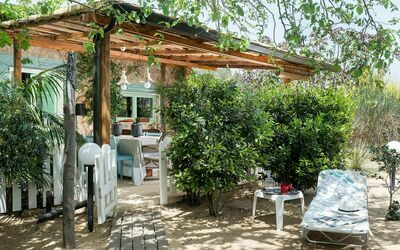 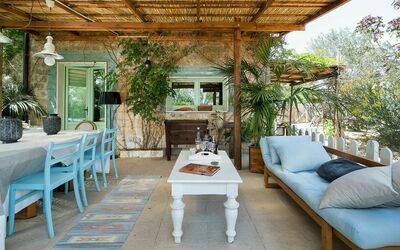 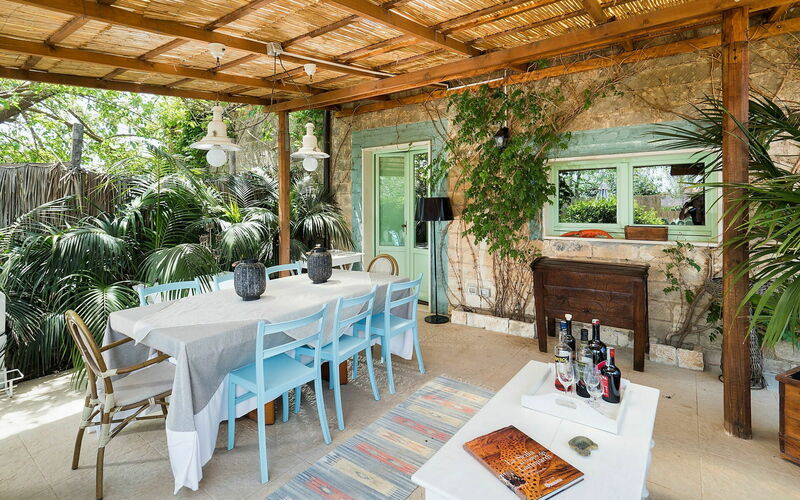 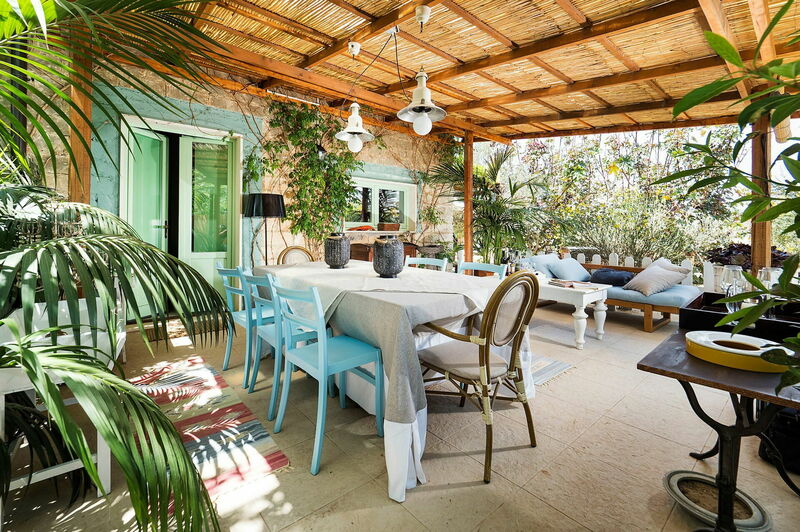 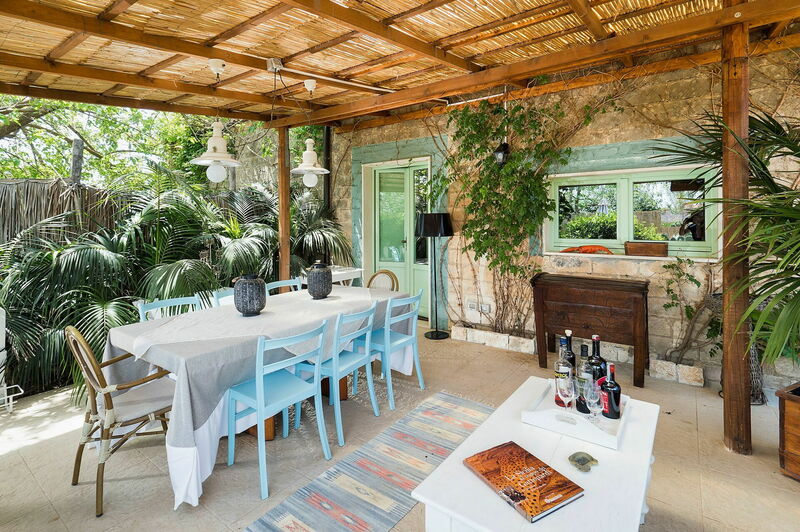 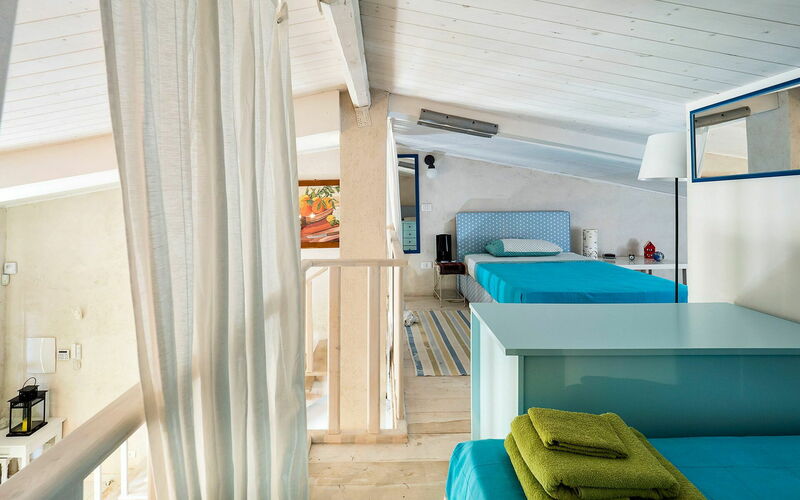 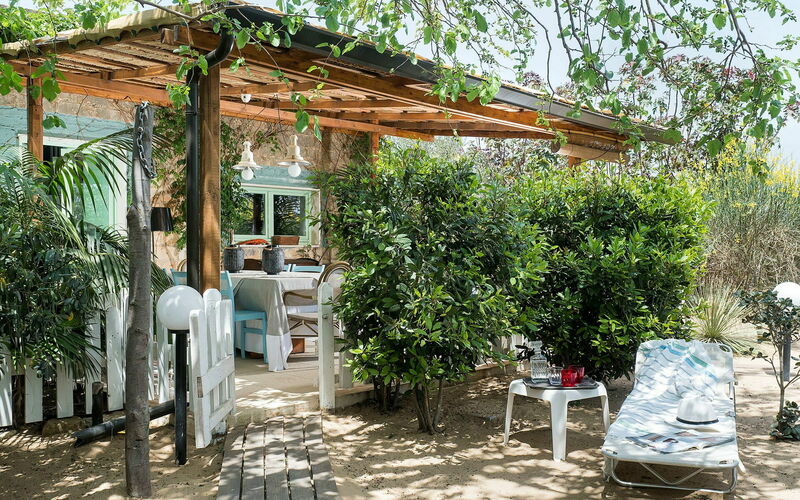 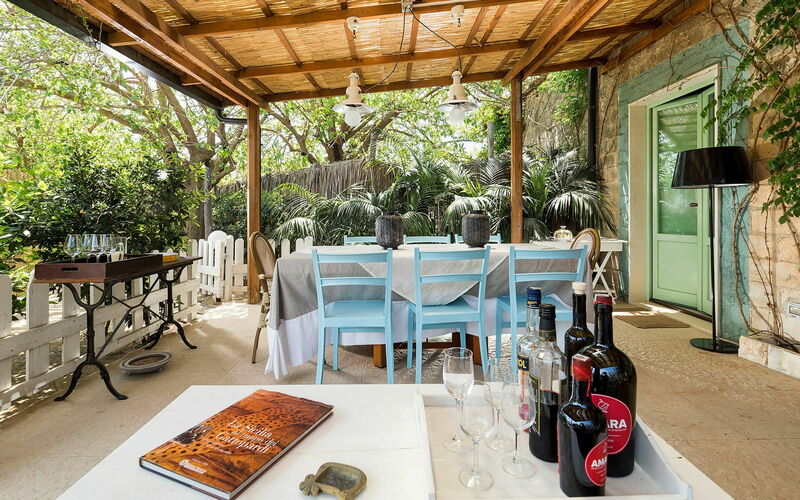 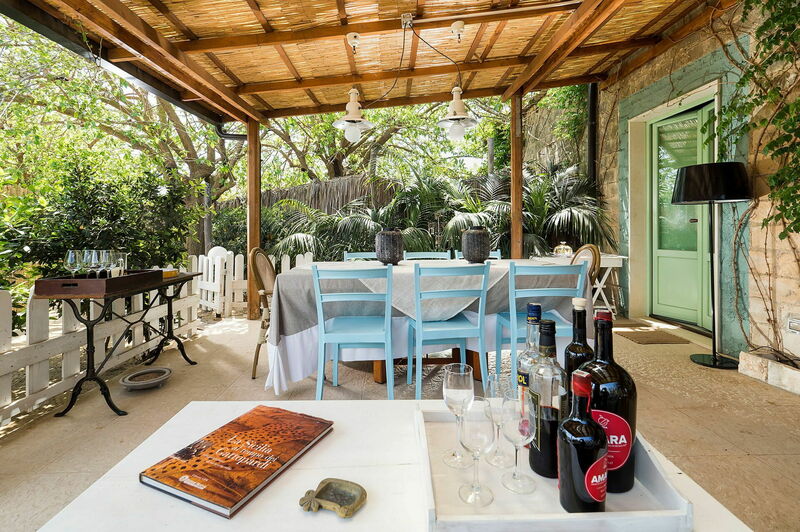 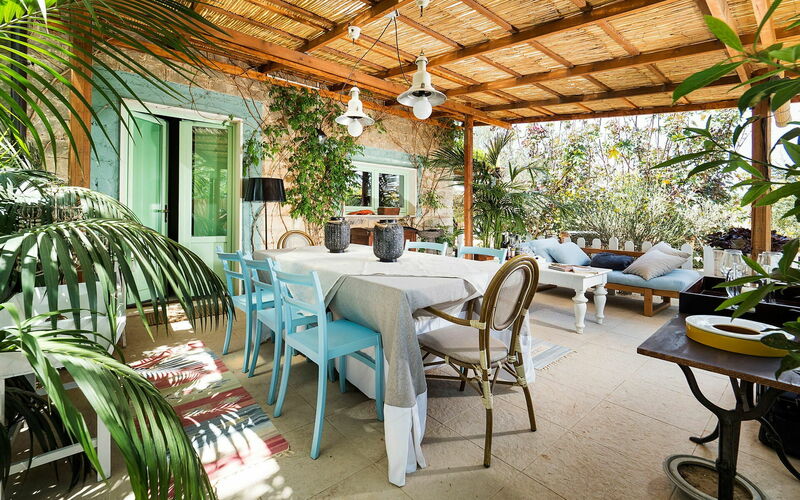 Spread over two floors, Moros is framed by a small, Mediterranean garden which encompasses an equipped reed-covered terrace. 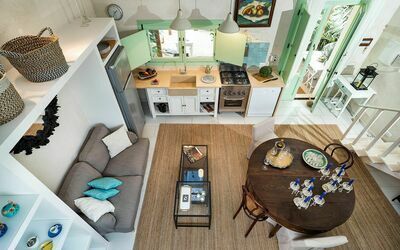 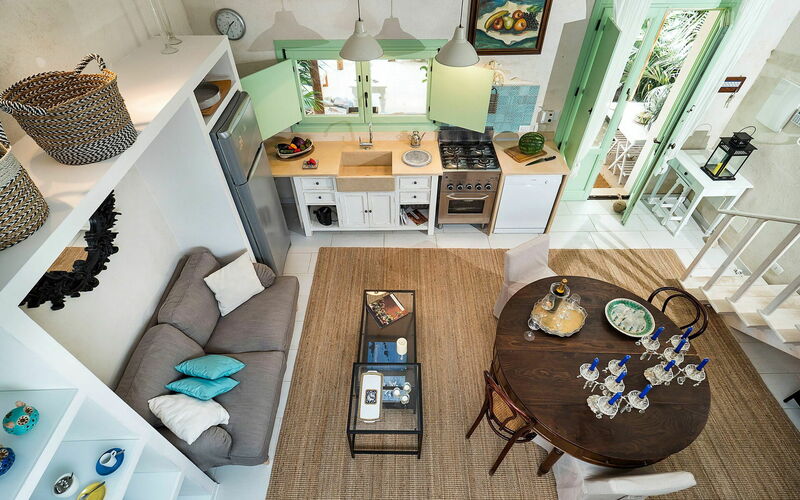 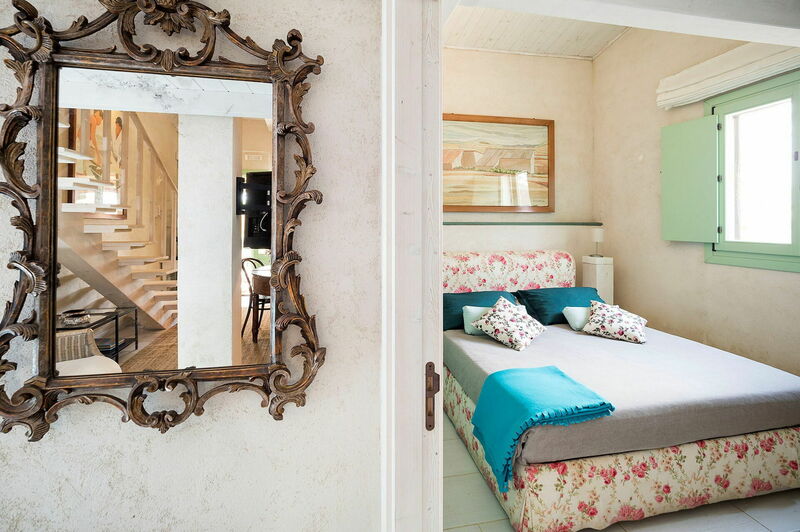 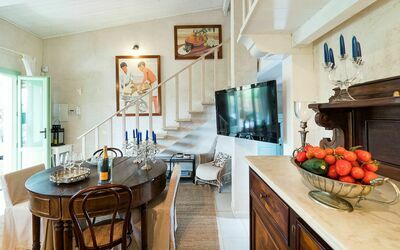 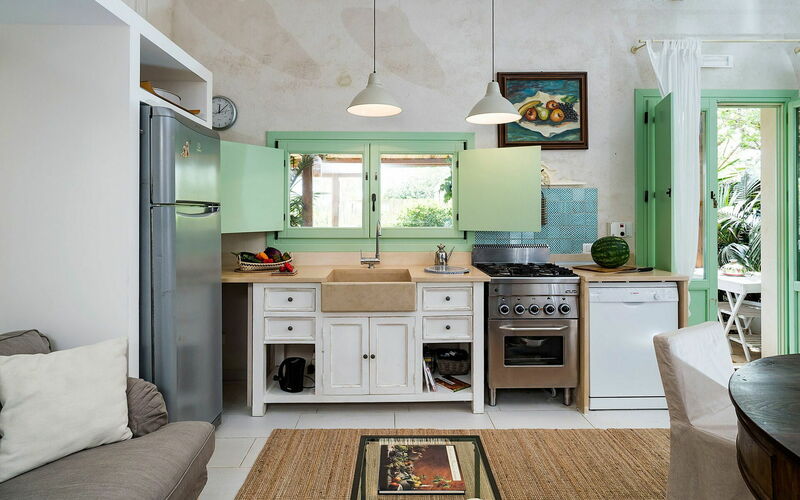 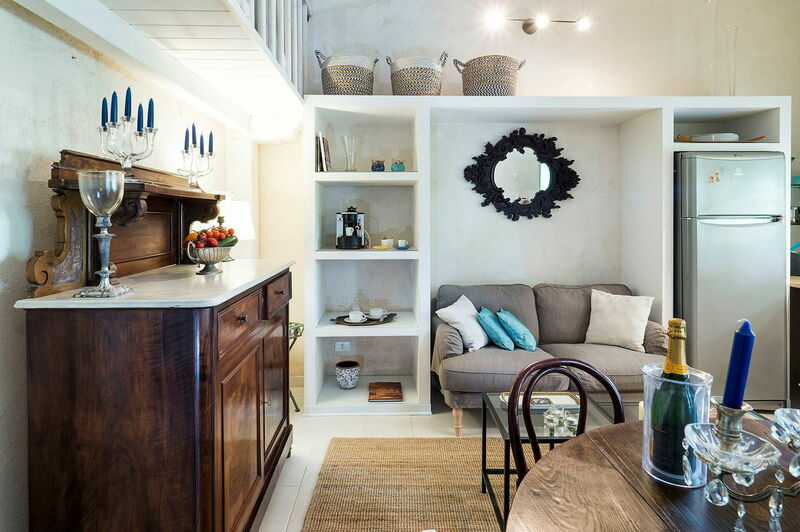 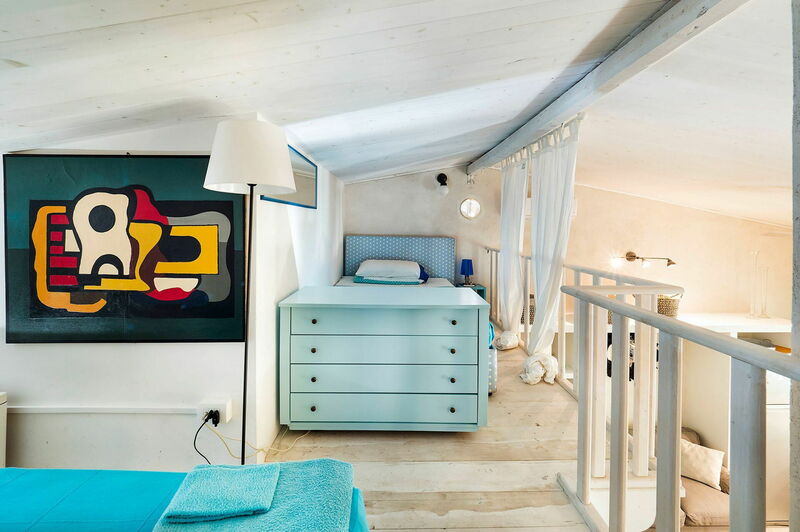 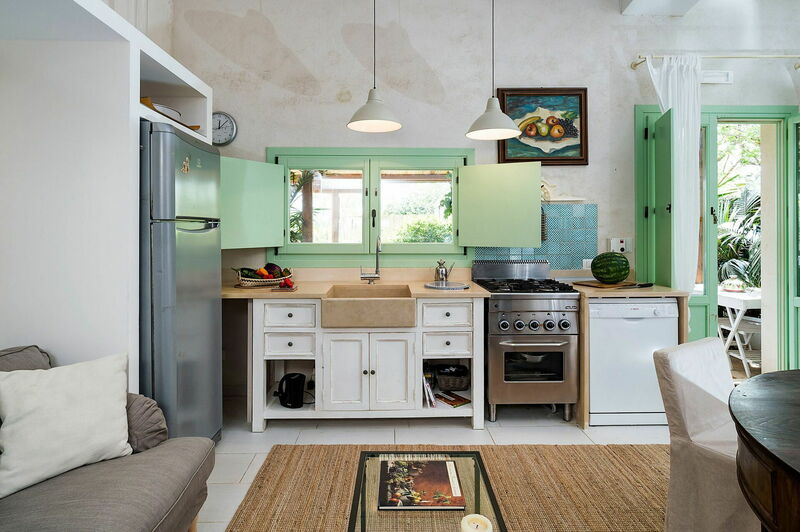 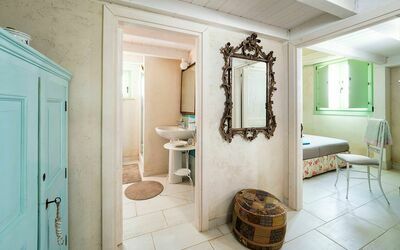 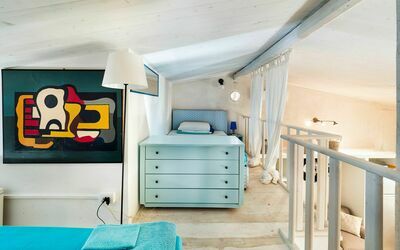 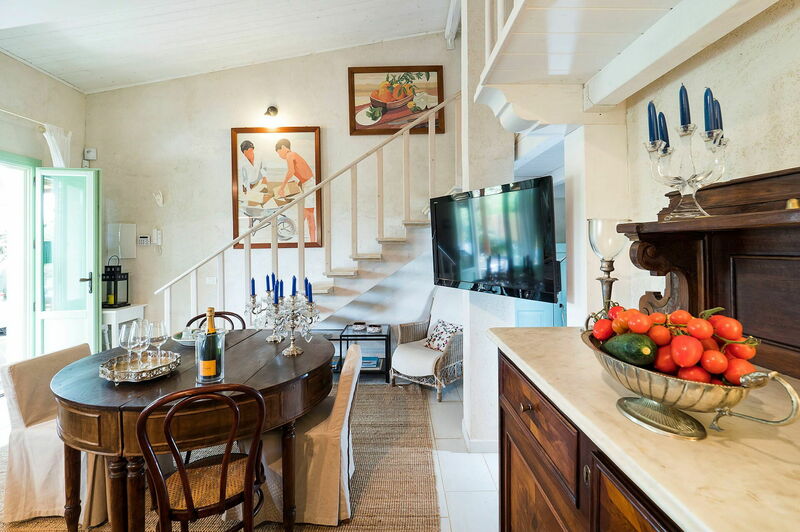 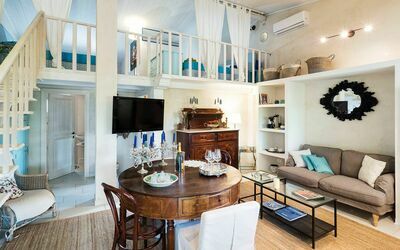 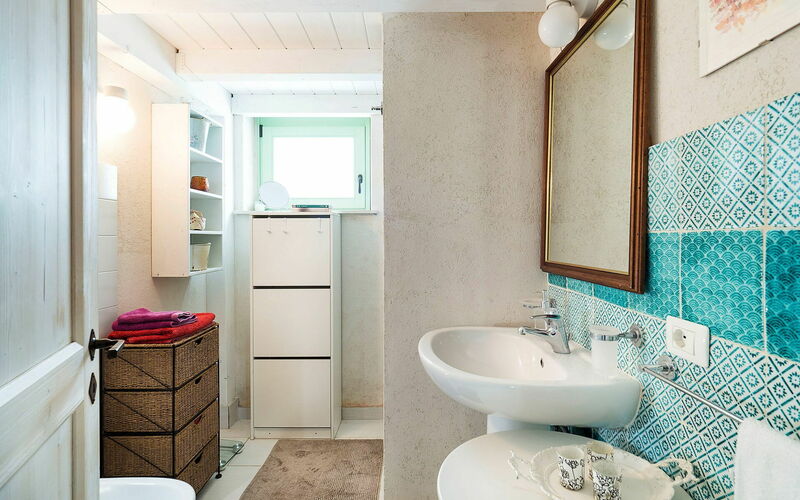 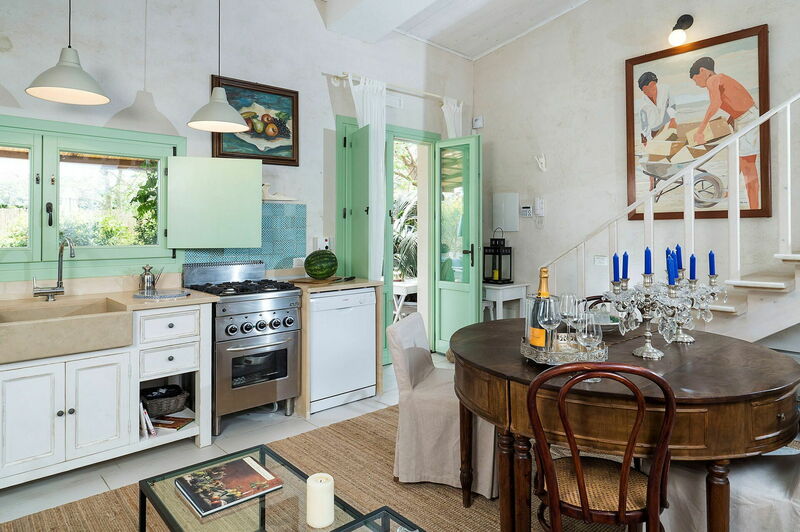 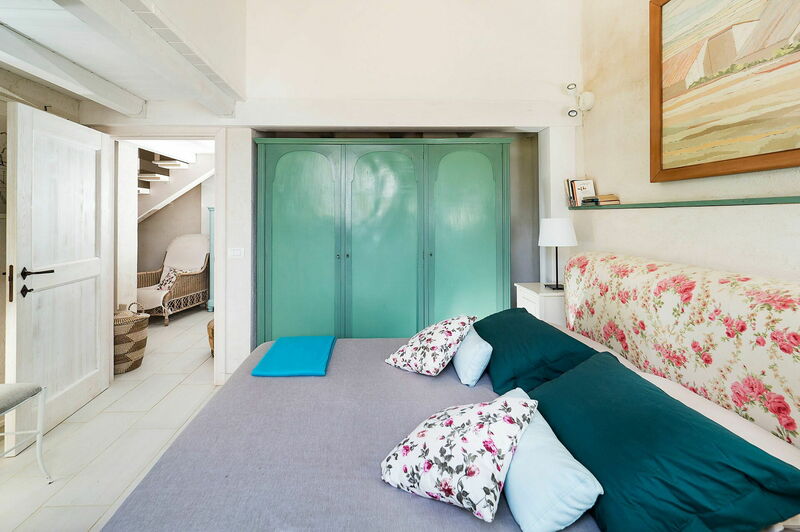 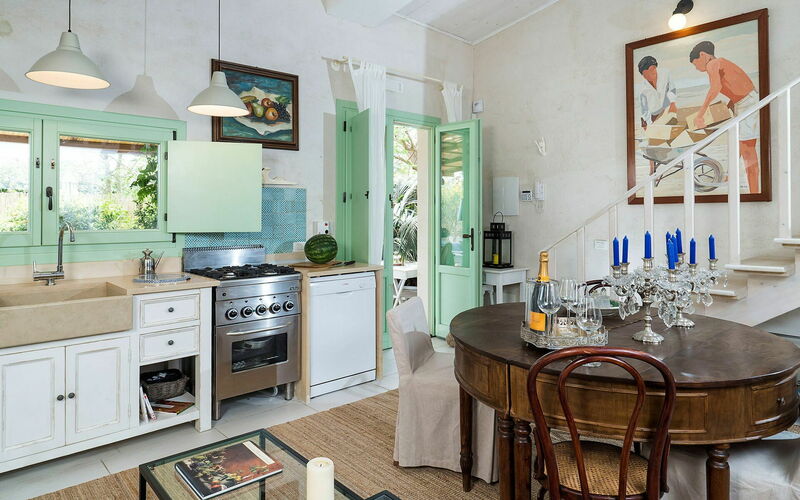 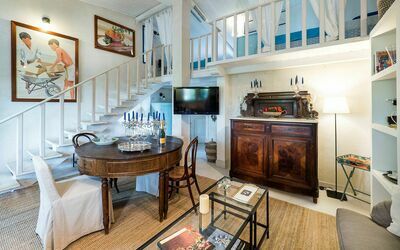 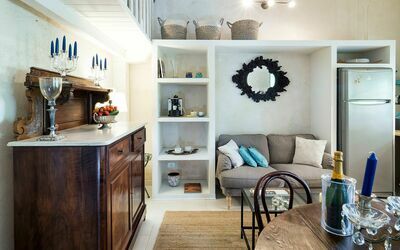 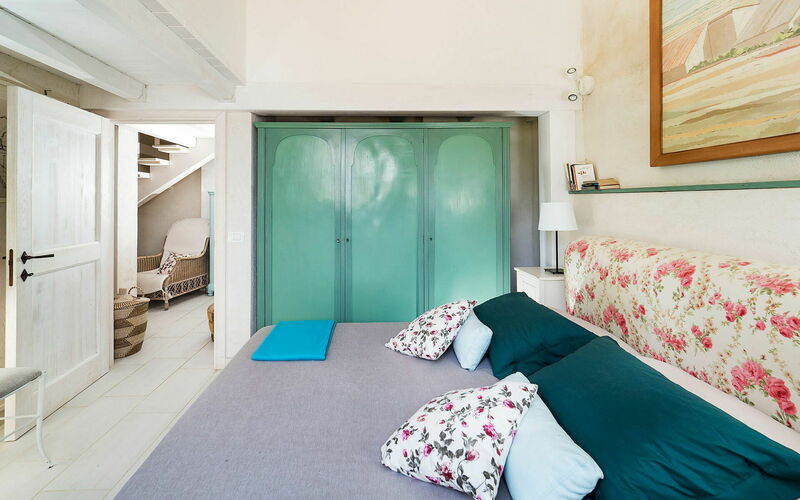 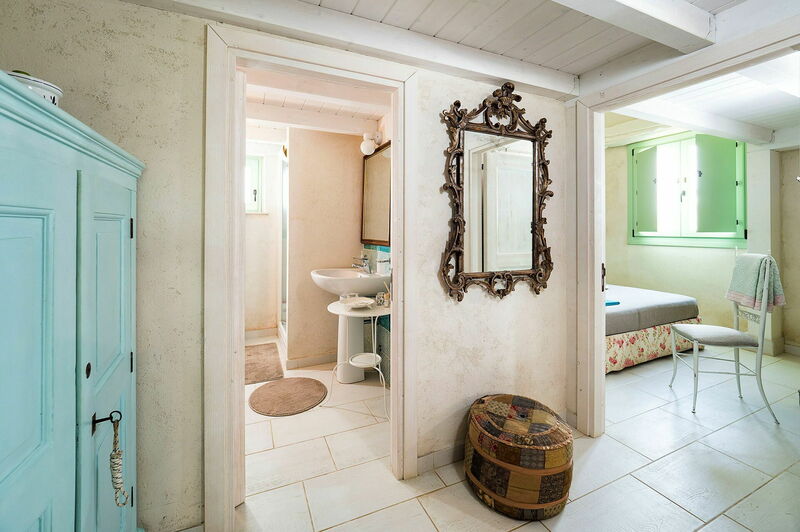 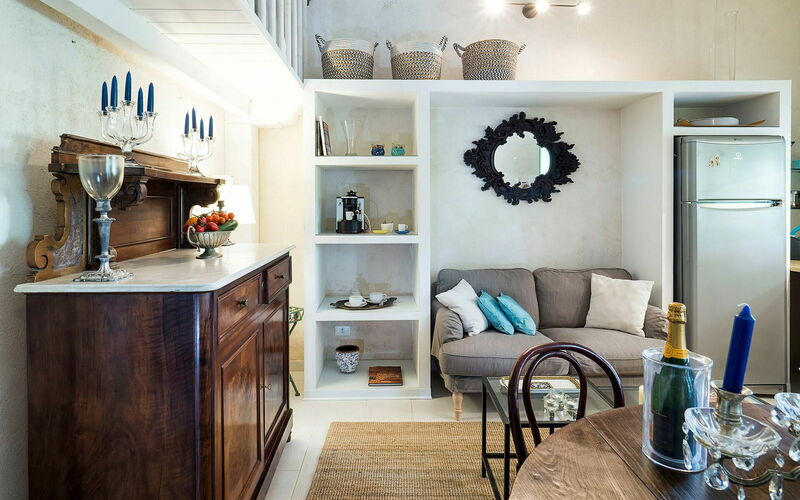 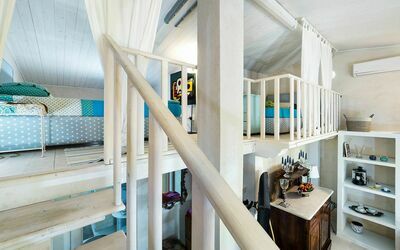 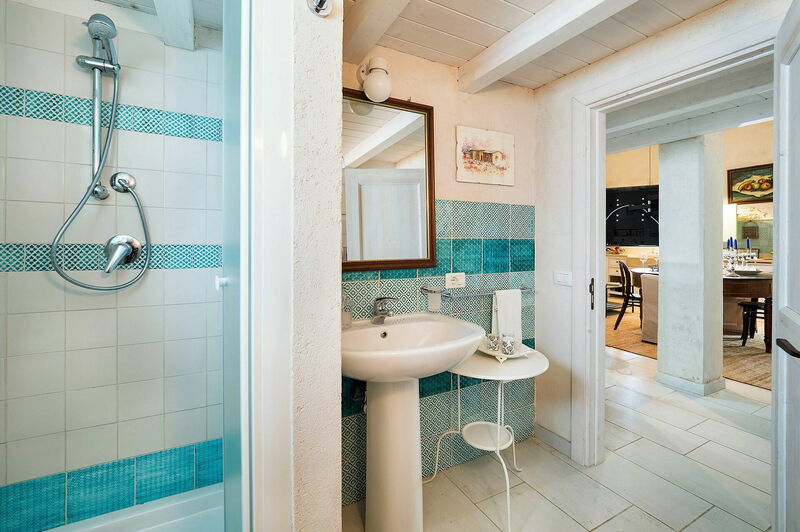 The cosy, tastefully furnished interior includes a kitchen/living room, a double bedroom and a bathroom. Stairs go up from the living room to the open mezzanine level with two single beds. 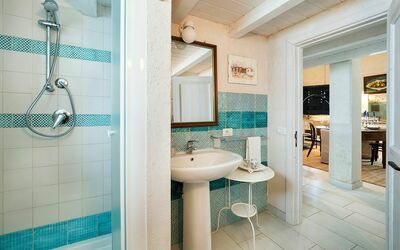 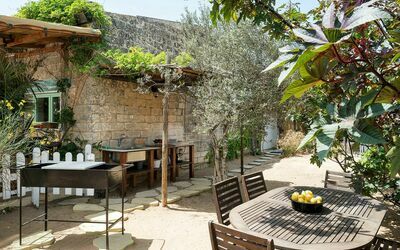 The house is also equipped with internet Wi-Fi, TV, oven, barbecue and external shower. 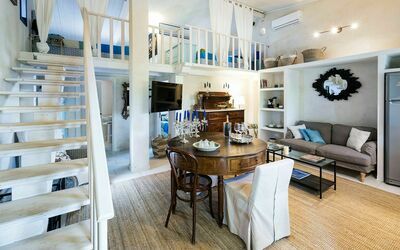 On the same property, together with the apartment Moros, there is also a further house, which is occasionally occupied by the owners. 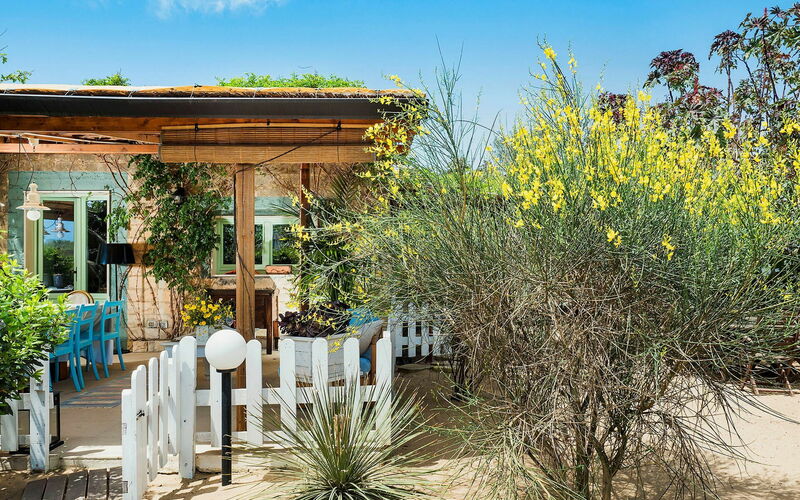 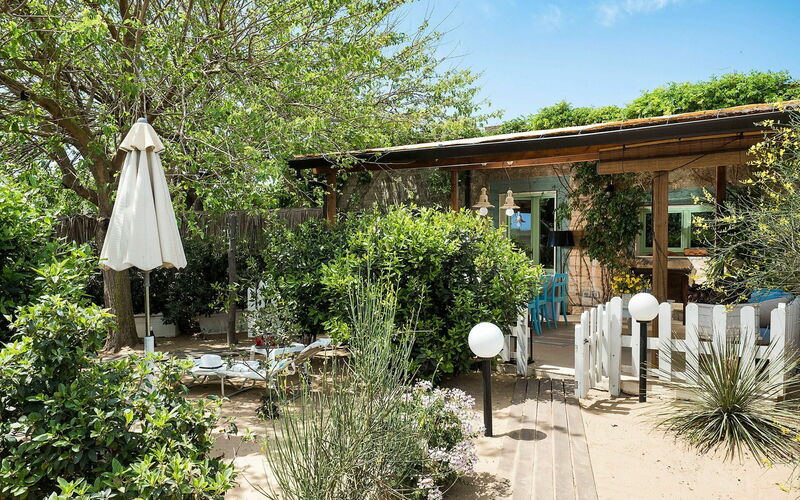 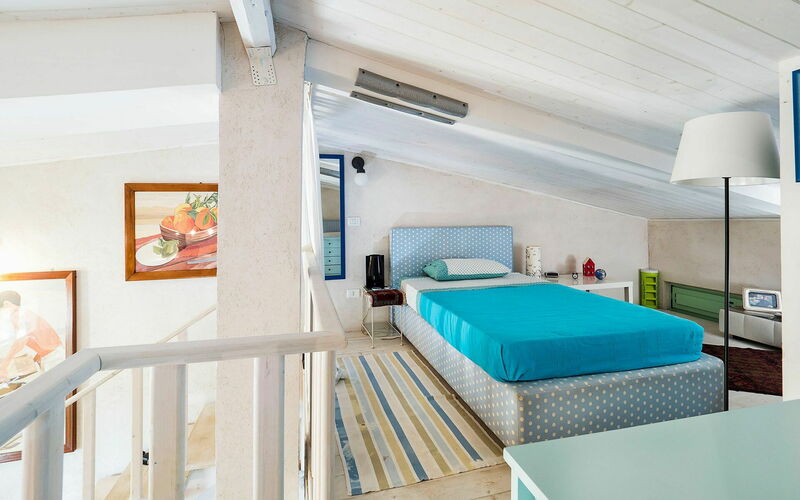 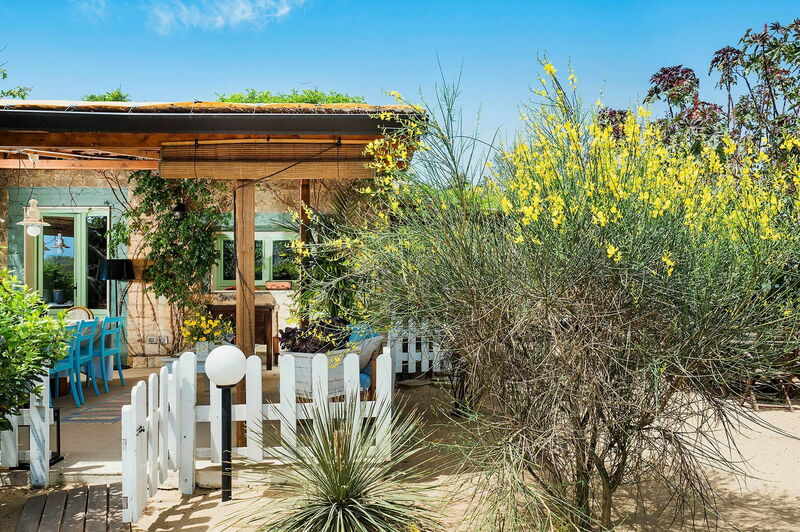 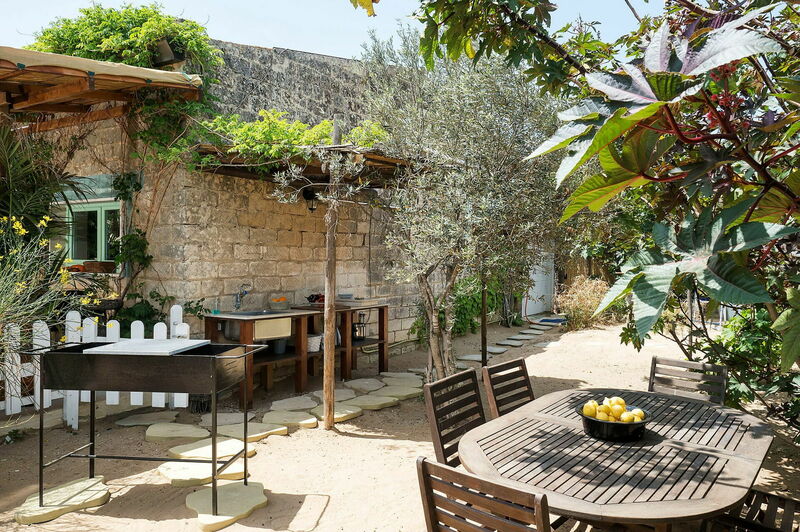 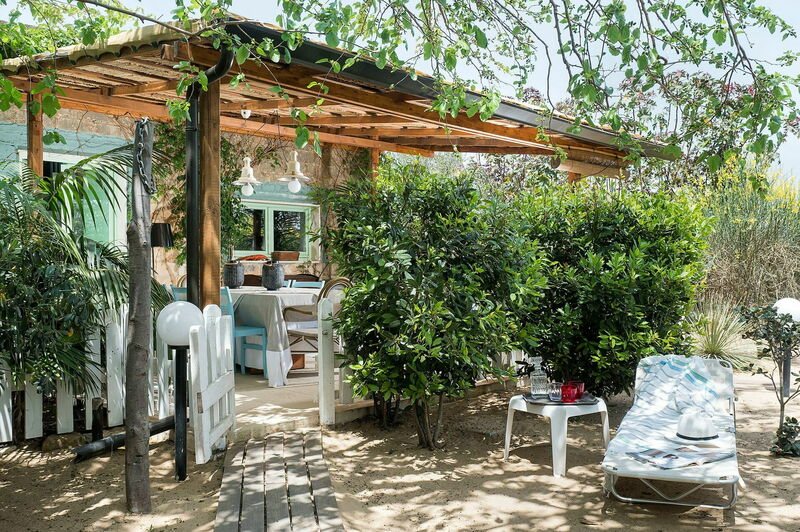 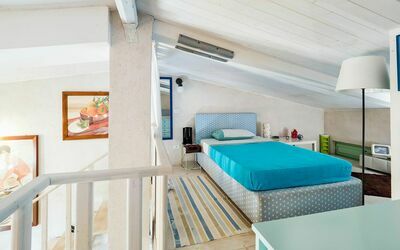 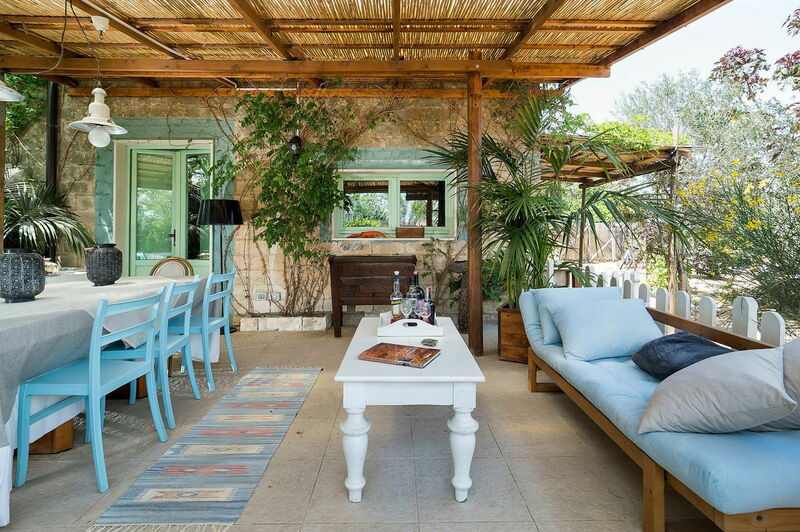 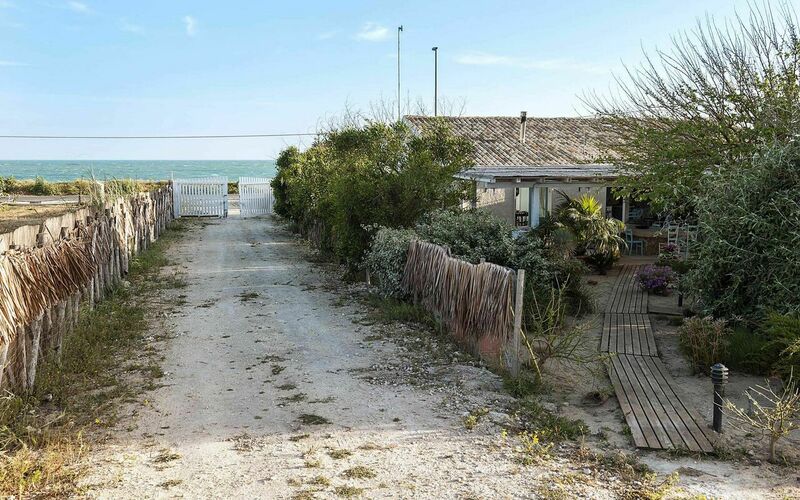 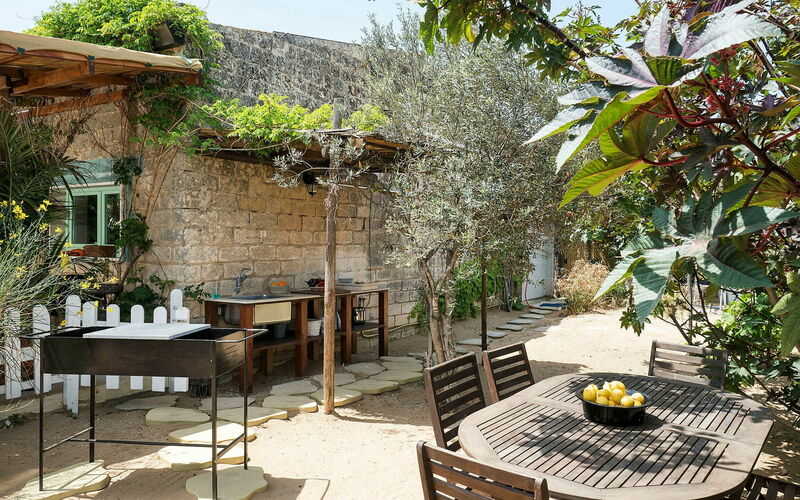 The location, besides being practical for reaching on foot the lovely sandy beach and the sea, is ideal for exploring the local area and the towns of Marzamemi, Portopalo di Capo Passero, the Vendicari nature reserve, Modica, Scicli, Ragusa, Noto and Syracuse. Ground Floor: living room-kitchen, 1 double bedroom, 1 bathroom-shower. First Floor: mezzanine with 2 single beds. 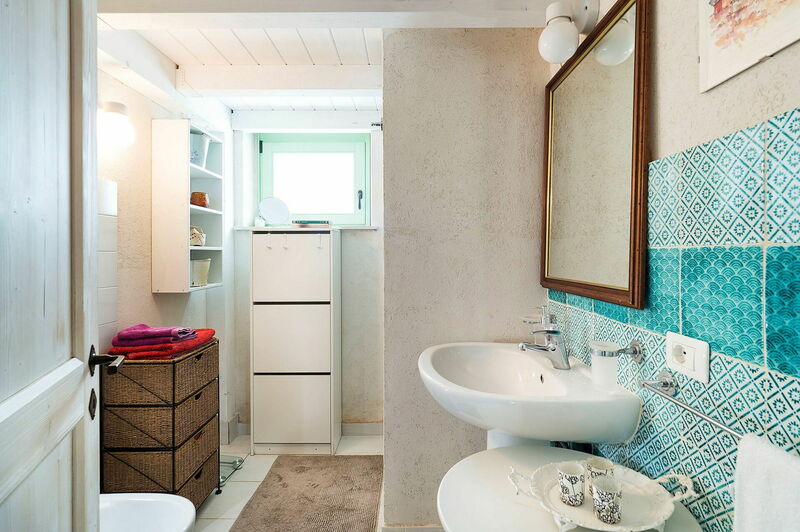 Electricity: included up to 200 kWh per week. 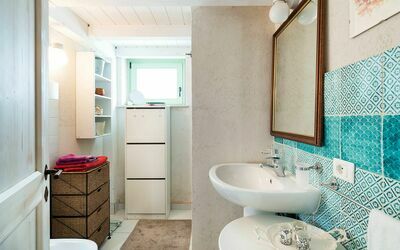 The excess consumption is to be settled on the spot at € 0.40 per kwh.